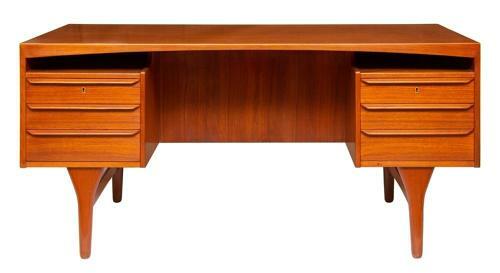 Vlad Mortensen Danish Floating Top Centre Desk. Danish circa 1965 ,fully striped and polished in imaculate condition. It stands really well and has an elegance.